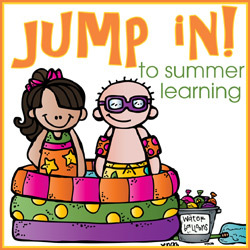 Jump In to Summer Learning is a joint project between Royal Baloo and 3 Dinosaurs. This is our second summer program. The first one is Reading Fun Under the Sun. Also check out the new Summer Program for 2014: Build Up! 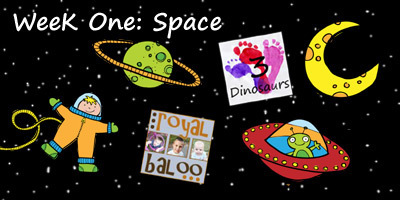 Jump In To Summer Learning Packs includes 5 weeks of themed learning fun: Space, Ocean, Beach, Dinosaur and Pioneer! The true joy of this is that you can use them out of order as well. And does not have to be a summer program. 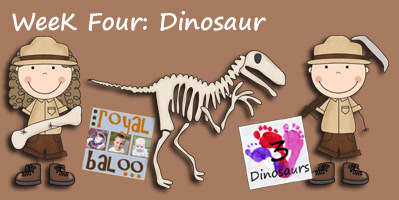 You will find 4 levels of learning for this set: Tot, Prek, Kinder and 1st! Each of the sets can be used together. This is a quick and easy print off your day for each of the kids and have fun! We planned this such that you can quickly print off each day without to many worries. Each day has 4 pages per level! That is 80 pages for all 4 level per week! Each level varies on the childs needs. The sets contain some of the following: pre-writing, letters (all 26), numbers, shapes, counting, math, word families, shapes and writing. Looking for more Summer Printables? 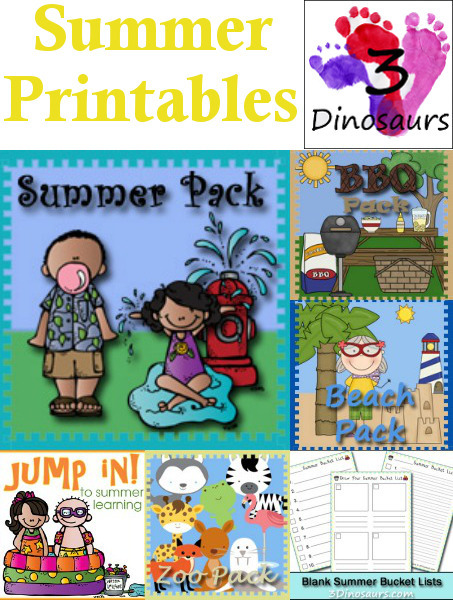 Check out all the Summer Printables on 3 Dinosaurs. Also check out my Space Pack that goes well with this Week. 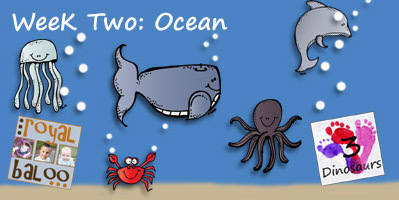 Also check out my Ocean Pack & House for Hermit Crab Pack that goes well with this Week. Also check out all the Beach & Ocean Activities on 3 Dinosaurs. Also check out my Beach Pack that goes well with this Week. 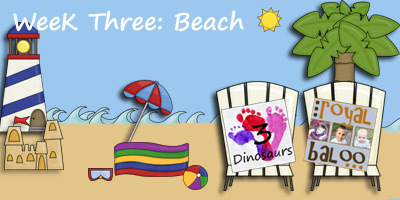 Also check out all the Beach & Ocean Activities on 3 Dinosaurs. Also check out my Dinosaur Pack that goes well with this Week. 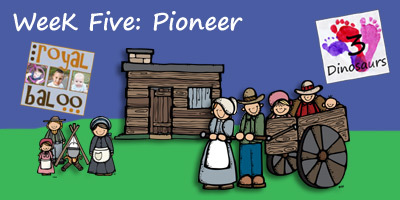 Also check out my Pioneer Pack that goes well with this Week.